Michael Phelps is understandably in the spotlight right now. As the most decorated Olympic athlete of all time, all eyes are on the swimmer now that the 2016 Rio Games have started. For instance, at the 2008 Beijing Games, Phelps won eight gold medals, breaking the previous record held for the most first place medals won at any one Olympics. Clearly, the record-breaker has his eye on the prize in 2016, and several family members have been visibly supporting the athlete during the competitions. His son Boomer, his fiancée Nicole Johnson, and his mom Debbie Phelps have all been in attendance in Rio, but noticeably missing is Phelps's dad. Why isn't Michael Phelps's dad at the Olympics? The multi-award-winning swimmer has been quite vocal about his father during interviews throughout his career. His mom and his dad divorced when Phelps was just 9 years old in 1993, meaning that the athlete didn't always see his father. In an interview with Sports Illustrated, in November 2015, Phelps said, "not having a father always there was hard... Getting that off my chest in therapy was this huge weight off my shoulders.” However, the pair were able to begin repairing their relationship in 2014 while the swimmer was in a treatment facility following his second arrest for a DUI. In July 2016, ESPN reported that Michael Phelps's father was undecided about whether he would attend the Olympics. ESPN said, "Fred is unsure whether he will go to Rio. Michael doesn't know what will become of his relationship with Fred long-term. But he knows it is in a far better place than it has been in years." It would seem that Phelps's father has not made it to the 2016 Rio Games, after all, though there is still the possibility that he will attend. Whether he puts in an appearance or not, both Fred and Michael Phelps have made it clear that their relationship is on the mend, and that they plan to keep working on it. 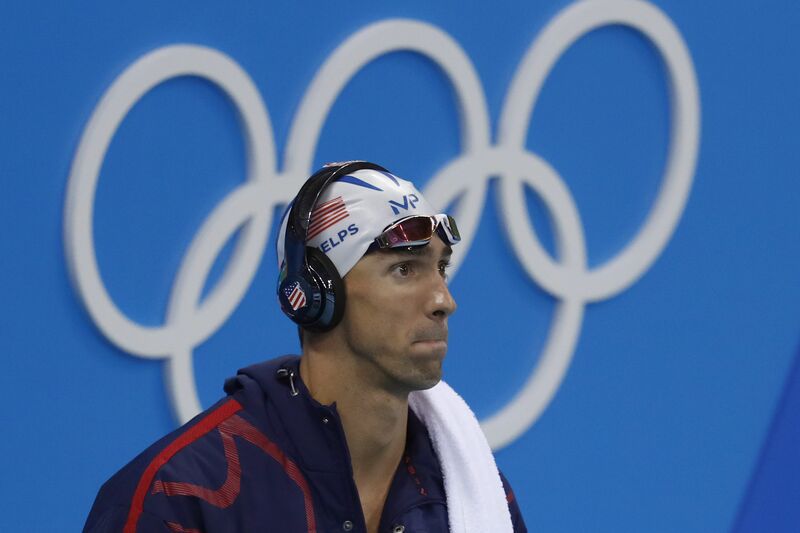 Phelps spoke to his father via ESPN and said, "You were gone for so long; I'm sorry, you're not going to walk in now and pick up where you left off. But it is good to finally have the friendship that I always wanted." It's clear that the swimmer is rebuilding his relationship with his dad, and, regardless of whether he's in attendance in Rio, Fred Phelps supports his son.